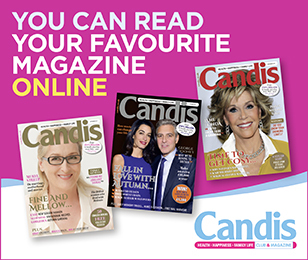 We are Newhall Publishing Limited, the publishers of Candis magazine, and are a limited company registered in the United Kingdom under company number 2099513. Our registered office is at Newhall Lane, Hoylake, Wirral CH47 4BQ.We are registered on the Information Commissioner’s Office Register of Data Controllers under registration number Z5284026 as well as being a member of the DMA. You can contact us at the above address, by email at Customer@candis.co.uk or by telephone on 0800 814 5400. Candis is committed to protecting your privacy online. We are also committed to providing you with the very best experience we can on our website. In order to enhance your experience at our site we gather certain personal information about you that helps us customise our content to your tastes and preferences. Please read the following policy to understand how your personal information will be treated as you make full use of our website. This policy may change from time to time so please check back periodically. We collect information from you in several ways from different parts of our website. We collect some information when you initially register with our site. We may ask for your name, email address, postal address and age information. The more information you share with us (and the more accurate it is), the better we are able to enhance and customise your experience on our site. In addition to the information we collect upon your initial registration with our site, we may ask you for personal information at other times, including (but not limited to) when you make a purchase through our online store, when you enter promotions or competitions and when you respond to a survey. For example, when you make a purchase through our online store, we collect several items of personal information, including your billing and shipping address, telephone number, credit card information, and any other information necessary to complete the transaction. To enable us to process, validate and verify e-mail alerts, subscriptions or any other service we provide to you. To notify you of new events, promotions or services from us and other partners. You are responsible for maintaining the confidentiality of any username and password and also for all activities which take place under your account. You agree to immediately notify us of any unauthorised use of your password or account or any other breach of security. In no event will Newhall Publishing Limited be liable for any indirect or consequential loss or damage whatsoever resulting from the disclosure of your username and/or password. You may not use another person’s account at any time, without the express permission of the account holder. What information do parties other than Candis collect? Which third parties do we work with? When you submit an enquiry via our website, we ask you for your name, postal and email address. We use this information to respond to your query, including providing you with any requested information about our products and services. We may also email you several times after your enquiry in order to follow up on your interest and ensure that we have answered to your satisfaction. When you purchase products from us online, we ask you for your name, postal address, contact telephone number, email address, DOB and credit card information. We also record your IP (Internet Protocol) address, which is the address of your computer on the Internet. We will use this information to verify your credit card details for your purchase, process your order and to send you your products. We will also send you a receipt via email and we may use your telephone number to contact you regarding your purchase. We collect, store and process your information on servers located in the United Kingdom. Neither we nor the payment processor retain your credit card information. We keep your order information for 5 years after your subscription ends unless you request it to be deleted before this time. When you take part in our feedback survey, we record your name, email addressand answers we ask about your opinion of, and use of, our products and services. We use this information to develop and improve our products and services and our customer relationships. When you sign up to receive our newsletter, we ask for your name, postal address and your email address. We will ask for your consent to use your name and email address to email you our newsletter, special offers, updated information and new services. Any emails sent to you by Candis offer you the option to be removed from the email mailing list. In accordance with our requirements under the Data Protection Act 1998 and the GDPR 2018 regulation, we will adopt appropriate security procedures to help prevent unauthorised access to your information. We are committed to keeping the data you provide us secure and takereasonable precautions to protect your personal information from loss, misuse or alteration, including limiting the number of people who have physical access to our database servers and password protections that guard against unauthorised access. All our employees or partners who have access to, and are associated with the processing of personal data, are obliged to respect the confidentiality of our site visitors’ personal data. Neither Newhall Publishing Limited nor any of its group companies shall be liable for any attempt to hack or crack or otherwise gain access to any part of this Website including any of your information. Data protection law gives you the right to access your personal information, for it to be corrected if inaccurate, to object to the use of your personal information for certain purposes, and the right to erase, restrict or receive a machine-readable copy of your personal information. To submit a request regarding your personal data by email, post or telephone, please use the contact information provided above in the Who we are section of this policy. We will handle your request in accordance with the law. This means there may be legal reasons why we cannot fulfil all requests.